The weather was really nice this past weekend, so we thought an end-of-summer picnic lunch would be fun. 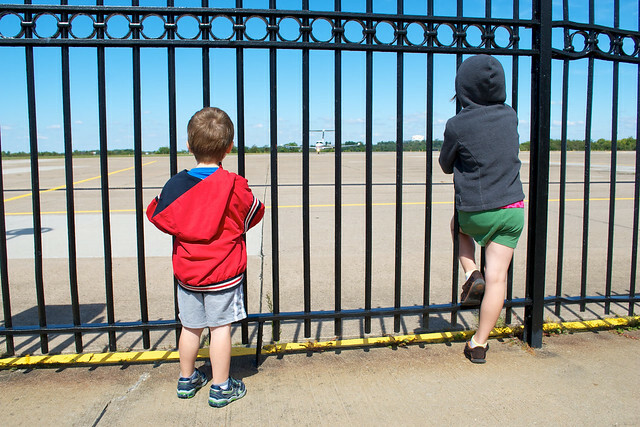 But instead of going to the park we decided to visit the county airport. There was a lot of local air traffic since the Steelers had a home game on Sunday. So we saw jets, helicopters, and even the DirecTV blimp (in addition to the usual prop planes) while we ate. After lunch the STAT MedEvac pilot noticed Evy and Brandon watching the refueling of his helicopter and asked if they wanted a closer look. 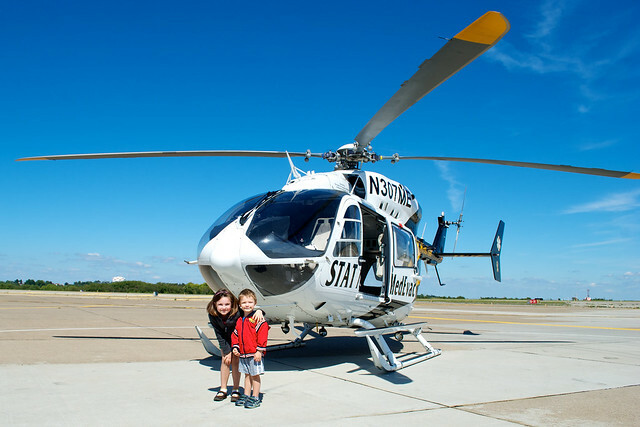 The kids were able to go inside, ask the pilot some questions and pose for a few pictures. Evelyn said it was the best visit to the airport ever! More pictures from the county airport are on Flickr.